Blue Rose Echeveria is a popular, succulent garden plant. It is fleshy, up to 20 cm wide, with tight rosettes of flat grey-green leaves that, when mature, form offsets freely to form large solid clumps up to 15 cm tall. 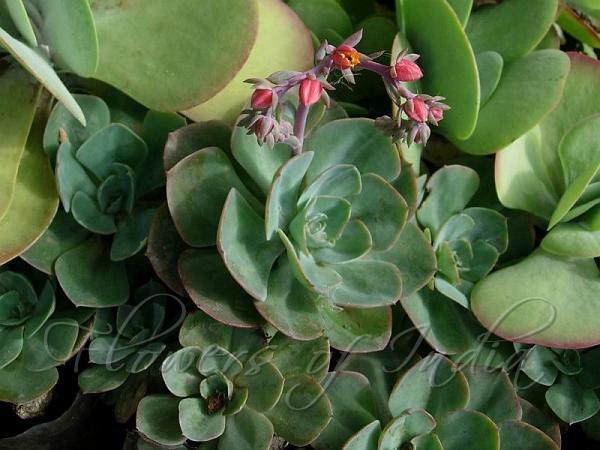 Blue Rose Echeveria produces a branched arching clusters of red and yellow flowers in the spring and early summer. 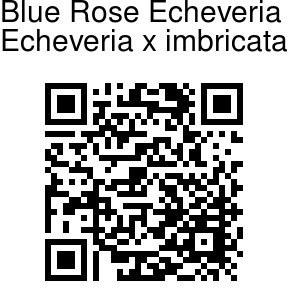 Blue Rose Echeveria is a hybrid that resulted from crossing Echeveria secunda with Echeveria gibbiflora Metallica. Identification credit: Margrit Bischofberger Photographed in Gangajal Nursery, Nasik, Maharashtra.